Summer is finally upon us, and that means only two things. 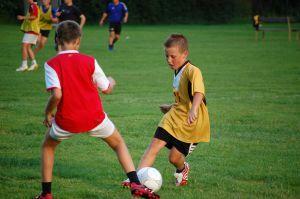 Fun and Power Soccer Summer Camps! Our coaches will have a busy summer ahead, with 8 action packed weeks of fun activities and quality coaching. Power Soccer coaches hold qualifications with the FAI, SFA, SAQ and Everton FC. They combine these qualifications with a wealth of experience. Coaches also have been trained in the Power Soccer Philiosophy. The focus is fun and learning in a safe environment. Last year we had over 1,000 children participating in summer camps throughout Galway city & county. This year we are delighted to be holding a summer camp in Ballinrobe, this represents an exciting new venture for Power Soccer. For registration information, please log on to wwww.powersoccer.ie, email info@powersoccer.ie or phone 091-865350. For further updates follow us on Twitter https://twitter.com/PowerSoccerEire and find us on Facebook https://www.facebook.com/pages/Power-Soccer/134227366600596.